It’s now common knowledge that Twitter first broke the story of Osama’s death, an event which marked the coming of age of the brand. 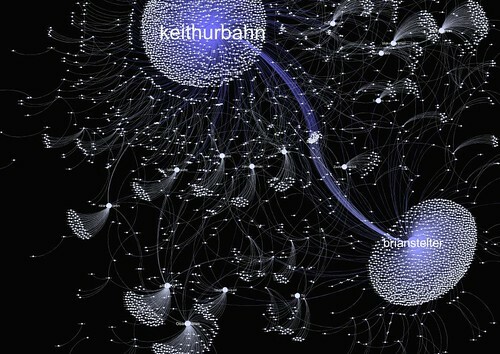 What’s especially interesting is the analysis of what happened on Twitter and how the information was dispersed. SocialFlow shows how it wasn’t the first guy to speculate Osama’s death that caused the wildfire, but another Twitter user- Keith Urbahn. Urbahn had credibility as Rumsfeld’s former chief of staff and his influence enabled the news to spread fast- within two minutes there were 300 reactions to his Tweet. One big influencer to retweet the story was NYT reporter Brian Stelter who with over 50,000 followers meant his Tweet was instantly picked up by a second tier of influential nodes encouraged their users to spread the news. It’s a very interesting live example of how things spread through the system and how fast it can happen. In this case, beating the President’s press conference by over an hour. From a marketing perspective it forces us to ask a few questions. 1. Do we have access to or can we access our a tiered universe of influencers? 2. Do we something to interest them? What other groups could be interested? 3. How do you manage the “flow” of a story?